In this week’s program, Nation in Conversation takes a trip to Upington where we visit Carpe Diem Raisins, an organic farm situated on the shore of the Orange river. The viewer will witness the complete process of raisin production. Roxanne talks all things raisins with Ferdie Botha from Raisin South Africa while Theo delves deeper into the market with Lindie Stroebel from the Produce Marketing Association. 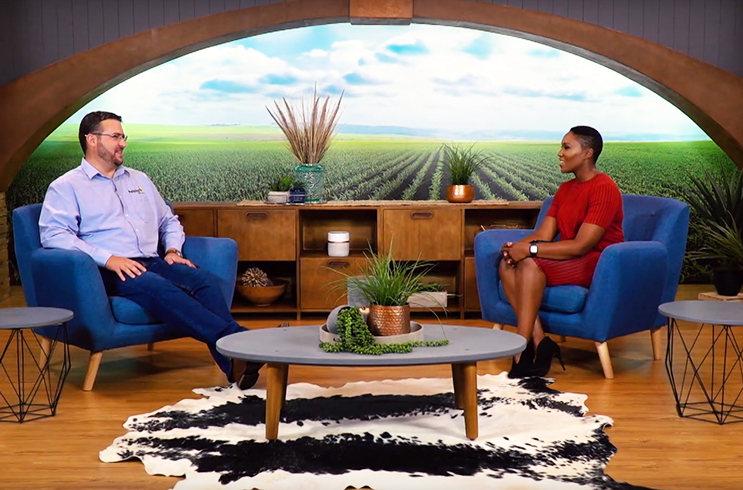 Presenters Theo Vorster and Rozanne McKenzie look forward to being your guide through the 13-week series where maize, raisins, onions, livestock, nurseries, forestry, beetroot, Nampo Harvest Day, wheat, cotton, pecan nuts and citrus are explored. So, do not miss a single offering of this informative new season which will be on your screens every Thursday evening at 18:00 on kykNET, from now until 27 June 2019. Next, we head to Barkly West in the Northern Cape where onions will be on the menu. For more information or the complete schedule of this new series please visit the website www.nationinconversation.co.za.